Have you often found yourself referring to your child as a little demon? Do you constantly find him drawing strange symbols in his notebook papers, or even writing very advanced Latin phrases even though he's just started learning division and multiplication? Perhaps you've even heard a few strange noises at night and found them dancing around a great big fire in the backyard. There's a chance that your child might actually be Satan. Well you're a supportive parent, right? And like any parent who wishes to assist their child in realizing their dreams no matter what it takes, you set out to help your little one achieve his goal of harvesting souls and plunge the world into an eternal darkness. 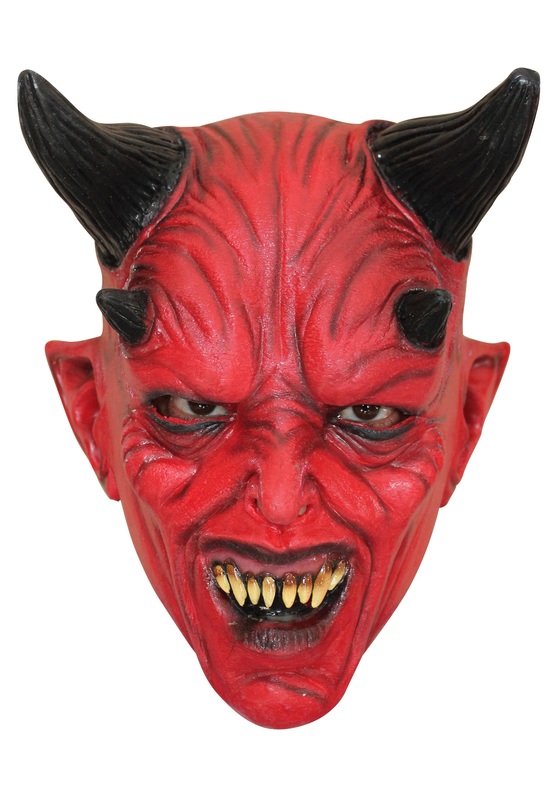 We might as well start by helping him look the part with this terrifying Child Devil mask. Before you know it they'll be all grown up and ruling a fiery nation of evil. Just make sure they call every once in a while.